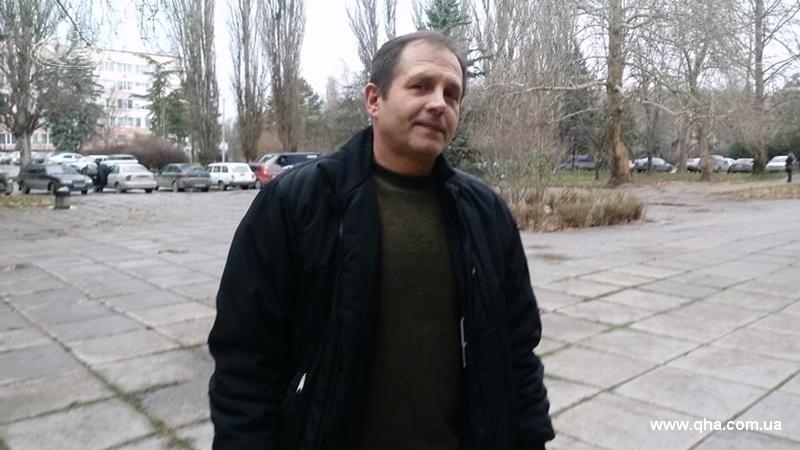 On December 20, the Kremlin-controlled “Supreme Court” of the occupied Crimea considered another appeal against the preventive measure in the form of house arrest for Volodymyr Balukh, Ukrainian activist, QHA correspondent reported. Balukh could not go to the toilet, although the defense of the suspect noted that it was outside the house and such a decision of the so-called “court” was a gross violation of human rights. The "court" also forbade Baluch to communicate with his wife, son and lawyers. By the request of the prosecutor, Judge Mikhail Sobolyuk, closed the "court session", since the decision of the so-called Razdolnensky “court” was already challenged in the Kremlin-controlled "Supreme Court" of the Crimea. Earlier, the “judge" of the so-called Razdolnensky district court appointed the next court hearing in the case of Volodymyr Balukh for December 20. Supreme court’s hearing on the Balukh’s appeal was scheduled for the same day. It is unclear how he was supposed to attend simultaneously 2 court hearings during one day.